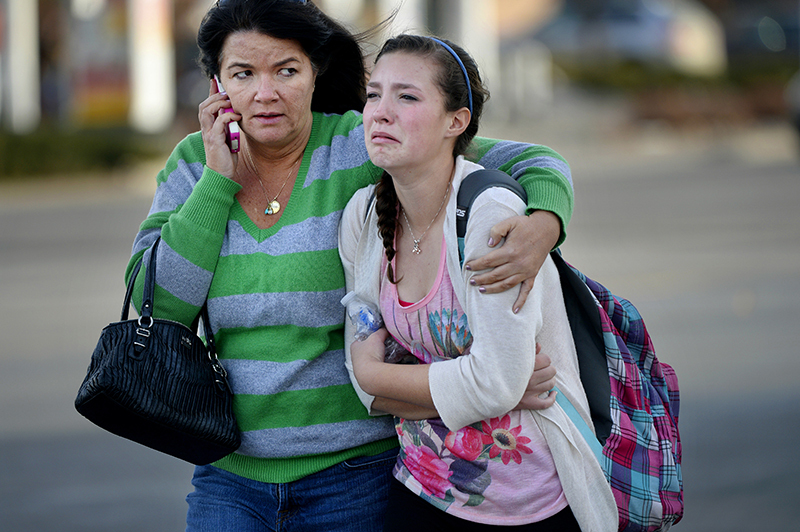 Meredith Strecker comforts her daughter Madisen after being reunited near Arapahoe High School in Centennial, CO. Madisen is a freshman at the school where student, Karl Pierson, opened fire. He shot fellow student, Claire Davis, in the head before killing himself. Davis died a week later.